various disciplines will participate and discuss the diverse challenges facing peoples of African descent in the 21st century. Coalition to Preserve Reggae Music, Inc., (CPR) will make a presentation on Philosophizing the Arts on Friday, March 2nd immediately following Dr. Molefi Asante's presentation. For program details, please visit: www.brooklyn.cuny.edu/web/info/philosophy.php. Sharon Gordon's photo [L-R] Isa Cucinotta, Film Society of Lincoln Center; Director, Storm Saulter; Recording Artist, Mr. Vegas and Moikgansti Kgama, founder of Imagenation. The New York premiere of the Jamaican film Better Mus’ Come was a tremendous success. With rumors of the show being sold out days in advance, it was no surprise to see a throng of eager New Yorkers scurrying feverishly to buy tickets on the big night. The who’s who on the New York Reggae scene including traditional and new media types, seasoned industry insiders, as well as a good mix of Jamaican expatriates were front and center for one of the most anticipated event on New York’s Black History Month Calendar. The event celebrated the arts with “cinema and music for the people” with the works of Jamaican-born film and music stars Storm Saulter and Mr. Vegas respectively. The excitement was palpable from the moment popular Bajan-born broadcaster, Dahved Levy of WBLS 107.5 Fm, introduced Reggae/Dancheall artist Mr. Vegas on stage. In an acoustic set backed by Tony Bone on guitar and Courtney Panton on Congas with harmonies from Simone Gordon and Stephen, Mr. Vegas presented a sweet selection of songs ranging from ska to roots reggae to dancehall including a remake of Toots and the Maytals, humungous hit, Sweet and Dandy which caused a member of the audience to break out in an impromptu ska routine. He was quickly beckoned on stage by Mr. Vegas and the excitement went up a notch when a female from the front row joined in on stage. This proved to be quite entertaining and soon others in the audience were out of their seats dancing and singing along. It was a seminal moment. Mr. Vegas was in rare form as he introduced the audience to his soon to be released double album, entitled, SWEET JAMAICA, a tribute to Jamaica’s Golden Anniversary of Independence. Better Mus’ Come is an explosive journey into the life of Ricky, a gang leader who tries desperately to navigate the challenges of life in a Kingston ghetto while taking care of his young son. He along with “Dogheart” are leaders of two warring political factions who use bloodshed to disrupt the By Elections of 1977, unleashing political turmoil and terror on the streets of inner Kingston. The film journeys from 1977 and ends in the early days of 1978 during the infamous Green Bay Massacre. Better Mus’ Come actors Ricardo Orgille, Nicole Grey and director Storm Saulter were on hand to discuss the making of the film. Joining the discussion via Skype from Jamaica were actors Sheldon Shepherd who plays “Ricky” and Everaldo Creary who plays, “Shorty.” Moderating the conversation was Imagenation’s Moikgansti Kgama. Also participating were Dr. Rodney Ptah -Shabazz author of Black To The Roots and Sherman Escoffery, editor at Largeup.com. Brooklyn, N.Y., Feb. 20th... The Coalition to Preserve Reggae Music Inc. (CPR) commemorates Reggae Month and African Heritage Month on Monday, February 27th with a reception at 3Ten Lounge, 310 Bowery (Houston and Bleecker) from 6:30pm to 10:30pm. The highlight of the reception, which will also mark the launch of the fourth season of the CPR Community Conversation Series, will be the State of Reggae Music keynote address to be delivered by veteran reggae artist Freddie McGregor. "As Jamaica celebrates 50 years of Independence, we felt compelled to have this child prodigy and long time roots reggae icon who is also the former Chairman of the Jamaica Reggae Industry Association and now a cultural advocate as our keynote speaker," said Sharon Gordon, chairperson of CPR. Freddie McGregor has recently been quoted quite often in the media especially in light of his decision to pull out of performing at the annual Jazz and Blues Festival in protest. He said he was disappointed with the organizers' handling of the program in a year when the island celebrates 50 years of independence. "I don't like the way the 50th celebration is put together," he said, "it should be a concept program." McGregor says that he was speaking not only for his behalf, but on behalf of many artists who share the same views but are unable to speak out for fear of retribution. It was McGregor who in December of 2011 pointed to the disparity between the funding that JaRIA received for staging Reggae Month and the funding organizers received for the three day Jazz and Blues Festival. "Our music is so valued and respected over the world, why is it being treated with such scant regard in this country?" He asked. "How can $1.2 million stage Reggae Month?" he queried. Jazz and Blues had received upward of $60 million towards offsetting its operational expenses. McGregor is quick to point out that since his outcry and the change in administration, the new government was able to "scrape up some additional funds for JaRIA" to help the staging of Reggae Month activities. McGregor is confident that it was his protest that caused this positive move on behalf of the new government. Reggae Month was established in Jamaica in 2008 to encourage reflection on the contribution of this important industry to Jamaica and how it can be utilized and improved for the benefit of the people of Jamaica. CPR contends that Reggae is Jamaica's gift to the world and each year the organization uses this opportunity to reflect on the state of reggae music. In 2011, keynote speaker Dermot Hussey noted that the "concept of celebrating Reggae Month was laudable and one which should be embraced internationally." In tracing the history of Jamaican music, Hussey pointed out that, "Jamaica gave the world a new rhythm with melodic bass lines closest to a heartbeat." At a time when the industry is loosing so many stalwarts who were instrumental in the creation and development of the genre, CPR is pleased to have Freddie McGregor deliver the Keynote address for what is expected to be an exciting evening of music and history. During his keynote address at last year's reception, Dermot Hussey stated that, "a study of the global penetration of Jamaica's music into communities which have adopted it, could reveal that its internationalization was the country's finest hour." CPR strives to increase understanding of Reggae's development, its significance to the social, economic and political development of Jamaica and its influence around the world. Its mission is to raise the bar in the creation, development, promotion and presentation of reggae; to elevate the profile of its purveyors and to research, codify, curate and disseminate information about the genre. The CPR reception will set the tone for the fourth season of the CPR Community Conversation Series which begins in March in honor of Women's History Month and will happen on the last Monday of each month through June. 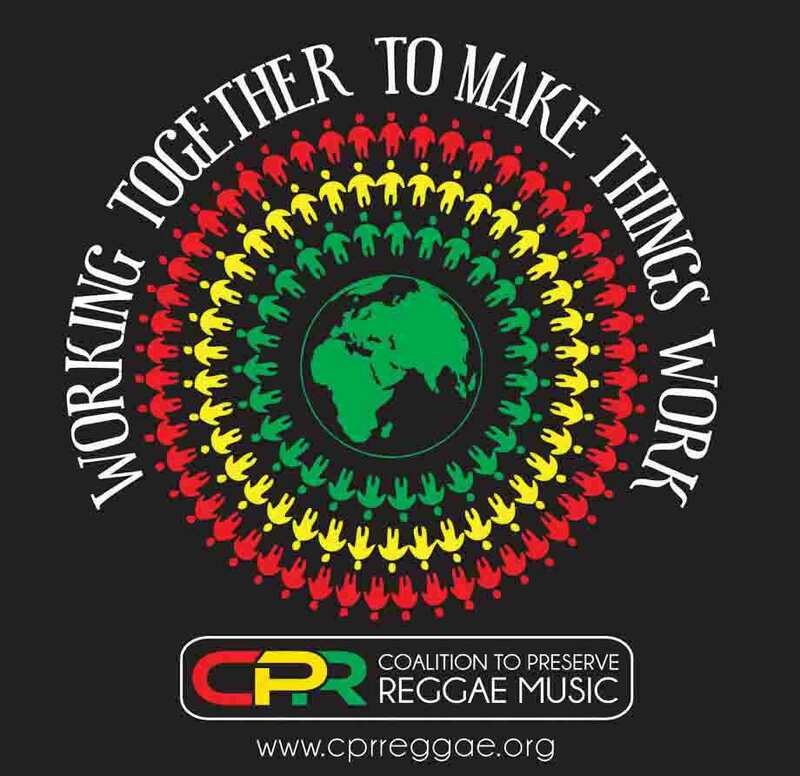 The Coalition to Preserve Reggae Music, Inc. (CPR) is a 501 (c) (3) organization that works to preserve the reggae art form and its traditional message of healing and unity. The mission of the Coalition is to raise the bar in the creation, development, promotion and presentation of reggae music; to elevate the profile of its purveyors; and to research, codify, curate and disseminate information about the genre so as to increase understanding of its development, its significance, and its influence around the world. CPR conducts forums, presents events and broadcast progressive programs via CPRLive about reggae music and is open to all reggae lovers. Visit www.cprreggae.org for more information. Internationally acclaimed, Grammy-nominated singer, songwriter and producer, Freddie McGregor, has been moving people with his conscious lyrics for over 40 years. Equally at home in lovers rock or roots & culture, this unstoppable wonder boasts many hits like Push Come to Shove, Africa Here I Come, Just Don't Want to Be Lonely, I Was Born A Winner, Guantanamera, his signature Big Ship. Her project itself is an audacious undertaking and Henzell spoke freely about the funding challenges her team faces with a project of this magnitude. “The more you get into a project like this the more you learn and the more you are encouraged to do the work. Yes, the funding is little and none, but the enthusiasm you get from Jamaicans and their struggles, and how they have overcome their struggles...” That, she says, is enough to keep her going. Henzell formed the 1962 Production Company with Zachary Harding and teamed up with award-winning film maker, Kevin MacDonald (The Last King of Scotland) who is the documentary’s executive producer to bring this project to life. Justine says they borrowed the concept of a “user submission” format from a project that MacDonald did in 2010 titled Life In A Day which was a successful YouTube documentary that was produced by MacDonald. “I knew that as film makers we did not have the resources to go and capture these experiences all over the world,” says Henzell. “We didn’t have the resources to capture every moment in Jamaica much less all over the world. The fact that anyone can submit their footage has really broadened the documentary’s ability to capture all these different one people moment.” Jamaicans and non Jamaicans are encouraged to visit the website, www.onepeopledocumentary.com and upload video or audio footage from their hand held or a camera phone. Another approach is to show Jamaica’s global reach and with a grant secured via the creative arm of PUMA, they were able to send five Jamaican film makers to Africa. “They gave us the air fare,” says Henzell, “so Asher has been to Ethiopia and returned saying that it was a life changing experience. Sarah Manley says she will never be the same again, after visiting South Africa and experiencing the largest rasta community in the world right there in Capetown.” Another film maker just sent a photo from Goire Island’s Door of No Return in Ghana while the others are in Senegal and Kenya. “We have gone back to the mother land with Rasta and Reggae and the incredible influence that Reggae has had on the motherland specifically South Africa,” says Henzell who also notes that the people of South Africa love reggae music and will never forget that it was the little island of Jamaica in 1970’s under Michael Manley’s leadership who were the first to impose sanctions against apartheid South Africa. She shares stories of receiving footage from a young Jamaican football (soccer) team of teenagers who are living in Austria and excelling far above their peers in the sport and receiving footage from a group of Jamaicans living in Dubai who hosted a beach party for Jamaicans living in Saudi Arabia and other neighboring countries. She speaks of interviewing London-based Levi Roots, who began making his jerk sauce at home in his kitchen with his wife and children and is now making Reggae Reggae Crisps among other condiments that are found on shelves throughout Great Britain. “Who knew?” she chuckles as she speaks of the Armenian Reggae band that also sent in their footage and the footage from folks who make a pilgrimage to a statue of Bob Marley erected in Serbia. “We are not perfect but we have a lot to celebrate and we should,” says Justine Henzell whose father, the late Perry Henzell gave Jamaica its first full length feature film in 1972: “The Harder They Come” starring Jimmy Cliff. She says she is very conscious that she is carrying on work that people began a long time ago and it is for that reason she came to New York to visit with the inimitable Harry Belafonte, world renowned actor and human rights activists. Also known as the “King of Calypso” Belafonte was the first person to sell a million copies of an album in the United States. The album, Calypso, released in 1953 was the first of its kind and introduced the American audience to calypso music. Belafonte’s mother was Jamaican and though he was born in Harlem he was sent to live in Jamaica with his grandmother from 1932 to 1940. His story will be among the many that will appear on the final 90 minute documentary that is One People: Out of Many, One Documentary. This project has been endorsed officially as a Jamaica ‹ 50 event. One People: Out of Many, One Documentary is scheduled to be released on August 6, 2012 in Kingston, New York City, Toronto and London. Residents who braved the blistering cold on February 8 to get answers in the shooting death of Jamaican teenager, Ramarley Graham, took out their frustration on NYPD police chief Gomez who stood in for New York city police commissioner Raymond Kelly. Reports are that Graham was shot and killed by police officers inside his home on 229th Street in the Wakefield Section of the Bronx. The group which converged on the Holy Rosary Church and included Assemblyman, Carl E. Heastie of the 83rd District in the Bronx wanted to know the details. But what should have been a question and answer session quickly turned into a shouting match with local residents flatly accusing the police of corruption. “Don’t insult us with your lies, we saw the video tape!,” persons shouted. The videotape, allegedly shows Graham walking slowly to his house, opening the front door and entering his home. Within moments, images of police officers are seen, rushing to the house and attempting to kick the front door open. Officers are caught on the tape circling the house, in the backyard, attempting to gain entry. The video has been uploaded to Youtube, and leaked to several media houses. Leon Wilson, “Breadman” a host on local 93.5 FM challenged the police on another detail. He said he saw the video tape of the incident and “there was no pursuit.” Chief Gomez declined a response on the question of whether guns were drawn. Judith Clarke , a community resident, told Chief Gomez he had no respect for the community. “How could you come here and tell us another story, other than what happened? You are showing us that you don’t have any respect for us,” she said as the audience broke out in applause. In the face of a walkout, Gomez says steps have already been taken in the matter with one officer placed on desk duty. “They haven’t interviewed the police officer who shot Ramarley Graham as it’s department protocol and they can’t interview the officer until the district attorney says it’s okay and he might not say it’s okay,” he offered. The next move he said was for the police to reach out to the community. Community activist, Jose Richards called for definitive action. “It’s about time that the police stop disrespecting our people and we must begin to respect ourselves. We must stand up and tell the mayor and the governor that these oppressive officers need to be fired. Enough is enough,” he said. The Ramarley Graham Fund has been set up in memory of the slain youth. “It’s an organisation that we developed immediately after my son was killed to provide assistance to other families who are dealing with financial challenges,” Frank Graham, father of the deceased teenage, explained. February 18 at 10am at the same location. Interment will be at the Woodlawn Cemetery. On December 27th the Coalition to Preserve Reggae Music, Inc, celebrated their annual Kwanzaa and Community Appreciation event at the Lounge in New York City. As always, organizers of the event invited attendees to donate well needed schools supplies for basic school students in Jamaica. Although it rained cats and dogs the event was well attended and many came out with their children to support the organization but to also honor the seven individuals who were being recognized by the organization with the first annual CPR Service Awards for their tireless service to the Brooklyn based non profit. Recipients of the first annual CPR Service Awards, who have all served the organization in various capacities are award winning visual artist, Laura James; sound engineer, Andrew Fuller of Full Spectrum Audio; videographers, David Curtin and Roland Hyde; Darlene Pantophlet, Mauyln Powell and Ceejay Saunders. The annual event was a celebration of the second principle of Nguzo Saba, Kujichagulia which means self determination. Providing musical entertainment for the night was the Anthem Band along with saxophonist, Jerry Johnson and roots reggae singers Ossie Dellimore, Major Daps and Noel Jones. Cater Van Pelt was the selector for the evening and food was catered by Totally Delicious Restaurant. As always, the event shared pertinent facts about the cultural celebration of Kwanzaa which takes place from December 26th through January 1st. This year, supplies will be collected through January 15th and can be delivered to the offices of CPR by appointment. It is obvious that the IMF and the JLP government were either in continuous disagreement or that they were unable to enter a mediated agreement over the last year. According to the IMF’s website, Jamaica has not passed an IMF test since September 2010, and taken none since December 2010. The current agreement comes to an end in May and Jamaica will likely have to enter a Stand-by Agreement, opt for a Staff Monitored Programme or choose an Extended Fund Facility. It is unfortunate that no detailed report has been made to academics, Parliament or the press about the progress, or lack of progress, of the IMF Negotiations. This has led to some doubt as to the actual state of affairs of the Jamaica file at the IMF. It is clear that under the old agreement, the IMF wants Jamaica to reduce the costs of the public sector. This means that public sector jobs would have to be cut. Under this agreement Jamaica would have to reduce its expenditure on wages, by some estimates, from 11.5 percent of GDP to 9 percent of GDP by 2016. In order to accomplish this, a 20,000-worker public sector job reduction and a pension readjustment for the police was contemplated. It would have been a bitter pill to swallow and the Jamaican electorate was not prepared to take this medicine. One of the great problems facing Jamaica is the catastrophic price of energy. Last year, Jamaica spent $1.6 billion importing 20 million barrels of oil. That constitutes 37 percent of our total export earnings. This means that it is impossible to preserve adequate foreign currency reserves, and it places continuous pressure on the value of the Jamaican dollar. Alternative energy sources are required to moderate the very high cost of electricity in Jamaica. Wind farms and solar devices may very well become the “talk of the town” as Caribbean scientists desperately seek less expensive methods of charging the public for fuel. Recent reports, like that of the World Bank, which ranked Jamaica 85th in the world and eighth in the Caribbean for ease of doing business, say we have too much red tape in Jamaica. This red tape is the product of a very inefficient efficient civil service inherited from the island’s British colonial heritage. The red tape is perceived to inhibit economic activity. Before a car can be imported from abroad, a license is required. It is fairly difficult for foreigners, even members of the Jamaica Diaspora, to open bank accounts. North American tourists are generally not lobbied to invest in Jamaica despite the attractive investment climate of the island. Perhaps the biggest problem in Jamaica is rampant police corruption and the influence of narcotics on the development of an “informal” economy that the government cannot tax and that the IMF cannot factor in to its quarterly tests. The first emphasis of the Portia Simpson Miller government needs to be the reduction of the murder rate in Kingston. Crime reduction will attract investment, which will increase economic activity, including an expansion of exports. Increased exports will lead to the stabilization of the Jamaican dollar and give the government the scope to negotiate with the IMF for a mutually beneficial long-term arrangement. Jamaica is a debt-ridden country. The IMF, in helping resolve Jamaica’s debt, must remember, however, that many Jamaicans are desperately poor and without economic prospects. The evidence suggests that there's a PNP mole in the JLP's G2K organisation. I suspect it's the person who crafted the expensive ad campaign against Portia Simpson Miller. G2K has become the PNP's secret but reliable weapon, utterly failing to realise that the contempt and scorn it so naturally spewed towards Portia is perfectly understood by the average extraordinary Jamaican, who concludes, "That's what they think about me!" Seriously, though, the election campaign reminded me how much class divisions continue to define Jamaican life. How else to explain the bitter anger and incomprehension of so many of our supposedly 'educated' people that Mrs Simpson Miller is popular and beloved. Once upon a time there were Marxists who decried this sort of thing. One curious feature of our class system is the asymmetry in respect and support between those at the bottom and those at the top. The majority of Jamaicans will vote for and support a person from a privileged background if they believe she's genuine and means the country well. The privileged, however, are generally loath to return the favour. In my view, the emphatic JLP rejection is a direct result of the Dudus cataclysm, the persistent economic blundering, and the record number of scandals in such a short time. With Dudus, the JLP leadership ransomed the entire nation on the altar of a friendly drug kingpin and then threw in a state-sponsored massacre and tonloads of lying and deception to round out the affair. On the economy, the feeling was that Audley Shaw took a job he couldn't manage. Interestingly, as the PNP hurricane was rolling onshore, almost all the meteorologists ignored the warnings and got it dead wrong. It is regrettable that The Gleaner became caught in this embarrassment. The Observer was unabashedly in full-throated campaign mode, while various other news organs spread misinformation and rumour as fact. We were told that Western Westmoreland and Central Westmoreland were 'in play', only to see Wykeham McNeill and Roger Clarke decisively crush their opponents. South East St Andrew wasn't even close, as Julian Robinson perfunctorily dismissed Dwight Nelson. Richie Parchment in South East St Elizabeth was told that he was seriously trailing the incumbent Witter, but then delivered a smackdown. D.K. Duncan was a celebrated hopeless cause in Eastern Hanover, but he is returning to Parliament. This wasn't always a matter of getting incorrect information from pollsters. In Central Kingston, Nationwide predicted an upset, and then The Gleaner (on the basis of an unnamed source) printed something similar. An available poll, to put it mildly, did not support this speculation. Perhaps the more than 20 per cent spread in the electoral result settles the matter? It is scandalous that, in general, the media could have been so seriously and persistently misinformed and wrong. I wonder how much introspection may come after this. Not much, I bet. This is why I've taken to advising young people to go into the media if they desire to exercise power without responsibility. The appalling treatment dished out to data-driven Don Anderson cannot have escaped anyone's attention. The man was instantly pilloried and ridiculed for saying the PNP would win. Today, he stands head and shoulders above all others. It turns out that the JLP had created an echo chamber of PR. Having paid for an image, it then fell in love with it, and is still in shock and awe that the rest of Jamaica didn't do the same. Some giant-slayers have emerged. Nobody in the commentariat was predicting that Joylan Silvera would turf out Bobby Montague, who seemed set to assume the chairmanship of the JLP. Hugh Buchanan has his father smiling and the pundits confused and disoriented. Paul Buchanan and Keith Walford came in completely below the radar of the newsmen whose jobs are to report these things to us. Sharon Ffolkes-Abrahams has properly buggered up Clive Mullings' plans, and freed him to pursue Bible-thumping, which is evidently his true calling. He can join Herro Blair on the mission to elevate bullying cruelty as appropriate Jamaican Government health and social policy. The Jamaican people have revolted against the media's narrative about who it is appropriate and acceptable to support. The JLP has been sent packing in less than one term, with massive deficits, debt and poverty as its legacy. Oh, yes! Let's not forget the arrogant contempt of G2K's clever little advertisements, the catchy 'vote-fa-Laayba' tune, and a few half-built, overpriced roads. The Chinese community in Jamaica played a very important role in the development of Jamaican popular music during its formative years. Their role was primarily as producers, and notable among these were Charlie Moo, Ivan Chin from the mento era, Byron Lee, the soca calypso king, Justin Yap, and Leslie Kong, who as a producer has the distinction of recording the debut songs of Bob Marley, Jimmy Cliff, and John Holt, the respective titles being Judge Not, Hurricane Hatti, and Forever I Will Stay. But probably the most important contribution made by a Chinese-Jamaican was that by Vincent 'Randy' Chin, who in later years went on to establish the now world-famous VP Records in New York. Randy's role was critical as a producer of early Jamaican music and later as a distributor on the international market. He along with his wife Patricia established VP Records in the late 1970s - V for Vincent and P for Pat. It all started in 1959 when Randy opened his first record shop at the corner of East and Barry streets in downtown Kingston. Born on October 3, 1937 in Kingston, he worked in the jukebox business for entrepreneur Isaac Issa, and gained valuable experience. This experience along with old discarded jukebox records he took with him to bolster his stock when he opened his own business. By 1961 he was operating from a new premises located at 17 North Parade in the heart of downtown Kingston. This establishment, which became the very popular Randy's Records, provided record collectors and music lovers with many hard-to-get records. In addition, he established a top-of-the-line studio above the same premises. The studio catered to the aspirations of many would-be artistes. Through his efforts and the provision of his studio, artistes such as The Maytals, Alton Ellis, Ken Boothe, Stranger Cole, John Holt and others were given their earliest exposure. Chin acquired the name Randy's from a United States (US) late night radio show entitled Randy's Record Shop, which was sponsored by a US record shop of the same name. Vincent, a keen listener to that programme, was thrilled by it, to the extent that he named his record shop and record label after it. Soon after, he ventured into the areas of producing recordings for prospective artistes. Among Randy's earliest productions were Goodbye Pretty Baby by the blues shouter Basil Gabbidon, and the doo-wop-styled songs My Love Divine and Let Me Dream in 1961 by Alton and Eddy. The duo had previously scored a massive hit a few years before with another doo-wop-styled song titled Muriel for producer Clement 'Coxson' Dodd. Alton Ellis (a half of Alton and Eddy), who would go on the become one of the biggest Jamaican stars, with producers Duke Reid and Dodd. Still during the rocksteady era, Ellis also made the solo recordings Ska Beat, It Doesn't Matter At All, and Mouth A Massy for Randy. But Randy's biggest success as a producer in those early years came from the Trinidad-born singer, Kenrick Patrick, better known as Lord Creator. Creator was passing through the island on a Caribbean tour with a group of musicians in January 1962. Randy's next move was timely. It was approaching Jamaica's acquisition of independence in August of that same year, and fascinated by Creator's voice, Randy intercepted him at a Kingston nighclub and requested he compose a song about Jamaica's independence. The late Raymond Sharpe, a Gleaner columnist at the time, was in attendance and provided Creator with an article on the lead-ups to Jamaica's independence. It eventually formed the basis on which the recording was built, and became the most explicit narrative in popular music on Jamaica's independence. It was also to Randy's credit that the recording, a calypso tune titled Independent Jamaica, became the biggest hit in Jamaica in 1962, rocketing to number one on the charts. In the process, the song became the first record issued in the United Kingdom by Chris Blackwell's fledging Island Records. Creator went on to record other top ska hits for Randy, including Don't Stay Out Late, and Man To Man. For the next couple of years, Randy recorded on his Randy's label several successful recordings for various artistes. These included the very popular vocal trio, Toots and the Maytals, who also began their hit-making career with coxson, John Holt who recorded Rum Bumper, and Ken Boothe who recorded in duet with Stranger Cole, the original version of Home Home which was later popularised in the rocksteady mode for Dodd. By 1968 Randy had opened his legendary Studio 17 upstairs his North Parade premises. Up to the mid to late 1970s, many of Bob Marley's classic recordings for producer Lee 'Scratch' Perry were still being done there. It was about that time that Randy relocated his family to New York and opened VP Records. It became and still remains the leading distributor of Jamaican music in the world. Vincent Randy Chin passed away on February 2, 2003 at the age of 65, but his memory will continually be perpetuated through his work with VP Records and earlier with Randy's Records in Jamaica. Today we can recognise the vital and immeasurable contribution made by Randy to the development of early and modern Jamaican music and appreciate the eternal qualities of good taste, swing, and vibes that went into Randy's recordings. He was indeed one of those unsung heroes of Jamaican music who didn't receive the reward and recognition he justly deserved. Dr. Deborah A. Thomas is a professor anthropology at the University of Pennsylvania, a dancer, and most recently added filmmaker to her accomplishments. Deborah directed and produced the new documentary Bad Friday in partnership with her husband John L. Jackson, Jr.; Junior "Gabu" Wedderburn; and Junior "Ista J" Manning. Bad Friday focuses on a community of Rastafarians in western Jamaica who annually commemorate the 1963 Coral Gardens "incident," a moment just after independence when the Jamaican government rounded up, jailed and tortured hundreds of Rastafarians. It chronicles the history of violence in Jamaica through the eyes of its most iconic community, and shows how people use their recollections of past traumas to imagine new possibilities for the future. Here is our conversation with Deborah on her new film Bad Friday. Please tell us about the event that is the subject of your documentary Bad Friday. On April 11, 1963, five men understood to be Rastafari responded to a long-term land dispute that had resulted in the shooting and imprisonment of Rudolph Franklin by seeking revenge on the handful of persons who were responsible. In doing so, they burned down a gas station and killed a number of persons including two policemen and a white Jamaican from Kingston. As a result of the hysteria that followed, Bustamante is said to have proclaimed, “Bring in all Rasta, dead or alive!”, and as police attempted to find those who perpetrated the incidents in Coral Gardens, civilians also arranged themselves into vigilante groups and hunted down all Rastafari in western Jamaica and beyond. This meant that Rastafari far from the event itself were being rounded up, beaten, jailed, and in some cases killed, only because of the Jamaican population’s extreme fear of Rastafari during that period. How did you come to know about this incident in Coral Gardens, given that it is has generally received limited discussion in the Caribbean media? It is mentioned briefly in a couple scholarly books dealing with the decade after independence, but in these cases the authors relied on The Gleaner’s (Jamaica’s most widely circulated newspaper at that time)reporting of the incident itself. At the time, John Maxwell also published some articles (some with firsthand accounts) in Public Opinion. I had read about Coral Gardens in these venues, but realized that nowhere was there a full account, and that because of this the events of 1963 had largely been silenced from the general story of Jamaica’s history, particularly in the immediate post-independence years. Another such silenced historical moment, by the way, is the Green Bay Massacre, and Storm Saulter has recently released an excellent film based on that event in 1978. The incident on which your film focuses took place in 1963. Why do you think that in the half-century or so since that time such little information about this event in Jamaican history has been available? I am not sure. That the government and security forces would have had such an alarmingly violent response to the actions of five individuals is stunning though of course, we have to understand this in relation to the climate of extreme fear of anything having to do with black consciousness at the time. I’m sure the excessive response constitutes an embarrassment on the part of the government, but times are different now and people are ready to bring these sorts of violent legacies to the fore. Additionally, around the world there is a very limited understanding of the various brutalities and struggles earlier generations of Rastafari faced, given that many outside the Caribbean who come to Rasta do so because of the music and know relatively little about the social and political context of Jamaica during that period. How many people died on Bad Friday, and was anyone ever charged and tried for these deaths? By the end of the day 11 April 1963, at least eight people had been killed, including Rudolph Franklin and two of his crew. Three men were hunted down and arrested for murder and conspiracy to commit murder – Carlton Bowen, Clifton Larman and Leabert Jarrett. Their lawyers – Mssrs. Beresford Hay, David Muirhead, Carl Rattray, and Hewart Henriques – argued a defense of “diminished responsibility.” All three men were sentenced to death by hanging. In May 1964, Jarrett was released on appeal, but Bowen and Larman were hanged on 2 December 1964. It is still not known exactly how many Rastafari were rounded up by the police, jailed, tortured, or killed. What is your professional background, and how did it prepare you to make this film? I am an anthropology professor at the University of Pennsylvania, and in my life before graduate school, I was a professional dancer in New York City. I don’t have a professional background in film, obviously, though my husband John Jackson, who is the co-director for the film does, so this is why we thought we could tell this story in that way. Junior Wedderburn and I did most of the camera work and the interviewing, with the help of many Rastafari involved with the Coral Gardens Committee (especially Junior “Ista J” Manning, when he was still living, and Ras Simba and Ras Iyah V). Junior, John and I sat together to think through how we wanted to tell the story and who the primary audience should be, and Junior also created the music for the film, working with a number of excellent musicians in Brooklyn. Of all the subjects you could have had as the focus of your documentary, why the Coral Gardens Incident? I was working on a book about violence in Jamaica, that has actually just been released. It’s called EXCEPTIONAL VIOLENCE: EMBODIED CITIZENSHIP IN TRANSNATIONAL JAMAICA. The last chapter of that book concerns the Coral Gardens “incident” as I wanted to talk about the history of state violence against Rastafari and how this violence was geared in part toward solidifying a particular idea about citizenship that Rastafari countered. As I was doing the research for the chapter, one of the elders with whom Junior Wedderburn and I had been talking suggested that it might be more useful to make a film about it, so we did. Where did you get funding to make the film? The University of Pennsylvania has provided all the funding for the film, which has been incredibly helpful, obviously, as all the trips back and forth and the archival footage we use, as well as our own time and energy (which has been uncompensated), have ended up costing quite a bit. The good thing is that because we’ve been supported by the university to make the film, we are now not concerned with recovering all these costs through sales of the film. Instead, we are able to donate all of the proceeds from the film to the Rastafari Coral Gardens Committee, and indeed this was part of our agreement with the community all along. Right now, we are in the final stages of creating the cover design for the DVD and making copies so that we can bring them some boxes to sell in Jamaica. The film will also be available on our website: (it is still, currently, in construction). What was one of the best decisions you made regarding how to develop this film project? I think our decision about audience has been important. We went back and forth about the kind of documentary it should and could be, and how it could reach the broadest audience, and we ended up deciding that the community itself – both within and beyond Jamaica – should be primary. The secondary audience, which of course overlaps with the community, comprises those interested in issues related to Pan-Africanism, Rastafari, black consciousness, and Jamaica. We know there are communities of Rastafari or like-minded individuals who will be interested and who will look for the film all over the world. We also feel that Jamaicans generally should see it, both on the rock and abroad, in order to have a better sense of our post-independence history. What was the biggest challenge you faced while making Bad Friday? Because Rastafari have been so over-exploited in terms of their imagery and iconography, and because they have also been mis-represented on numerous occasions, or mistreated by researchers, cultural workers, or filmmakers, or not given what was promised to them, there is a fair amount of skepticism among leaders within the community about any project like this (though in our experience, this skepticism did not extend to the elders themselves). We were fortunate to have the support of key individuals who were part of some of the current initiatives within the community, like the move to secure some degree of intellectual copyright protection and to protect their interests vis-à-vis the mobilization of their image in tourism advertising, etc. This meant that while we were in some ways taken as a test case for these initiatives, we were also, for the most part, trusted as to our sincerity. A big plus in this regard is that we ourselves are not trying to make money off the film, but instead see it as a gift to Jamaica and to the worldwide community of Rastafari. If you could spend an afternoon interviewing anyone who has passed away but was involved in the Coral Gardens Incident, who would that be and why? There is a sistren who was one of the only women arrested during the aftermath of Coral Gardens with whom I would love to have spoken; and there is another brethren who was involved and who was mentioned by several of the elders and others close to the situation, who has since passed. A number of policemen who were part of the original battalion who responded to the events of that morning have also passed, and it would have been interesting, I think, to see whether they were willing to rethink what happened on those days. A few of the elders who we did have the privilege of interviewing have also transitioned since, so we were happy to have been able to record their stories so that others may hear them. Thankfully, the Public Defender is now investigating the case, in part because of the film but also as a result of the long-standing agitation of members of the community. He has asked for our raw interview footage (which we gave him) and members of his office have already traveled to MoBay to take sworn testimony from individuals who went through the experience. I know that he is also asking that if anyone beyond western Jamaica or even outside Jamaica can talk about their own experiences in relation to the events at Coral Gardens, they should contact his office, by email or by calling 876-922-7109 or 876-922-8256. If you had an unlimited budget to make any one film, what would it be about? This was it, really. As I am not a filmmaker per se, I don’t lie awake thinking about the next one. However, if something arose as organically as this did and it seemed to make sense in terms of what it could do to support the efforts of those I am working with, I might think about doing it again. How can people purchase the film or get more information about it? The film is being distributed to institutions (educational and otherwise) in the U.S. and Canada by Third World Newsreel and individuals can buy it from our website within the next few weeks! The soundtrack from the film will also be available from both sources, and will feature a couple of extra tracks. Andrea Shaw, Ph.D., is assistant director of the Division of Humanities and an assistant professor of English at Nova Southeastern University in Ft. Lauderdale. She was born in Jamaica and is a creative writer and a scholar of Caribbean and African Diaspora studies. Her book, The Embodiment of Disobedience: Fat Black Women's Unruly Political Bodies, was published in 2006. Her creative and scholarly writing have been published in numerous journals, including World Literature Today, MaComére, The Caribbean Writer, Crab Orchard Review, Feminist Media Studies, Social Semiotics, and FEMSPEC. She graduated from the University of Miami with a Ph.D. in English and from Florida International University with an M.F.A in Creative Writing. BAD FRIDAY will make its New York Premiere at Reggae Culture Salute on Saturday, Nov. 5th at Nazareth Performance Center, Brooklyn, New York. For information visit www.cprreggae.org or call 718-421-6927. CPR thanks Jamaicans.com for their support as a media partner for Reggae Culture Salute 2011.